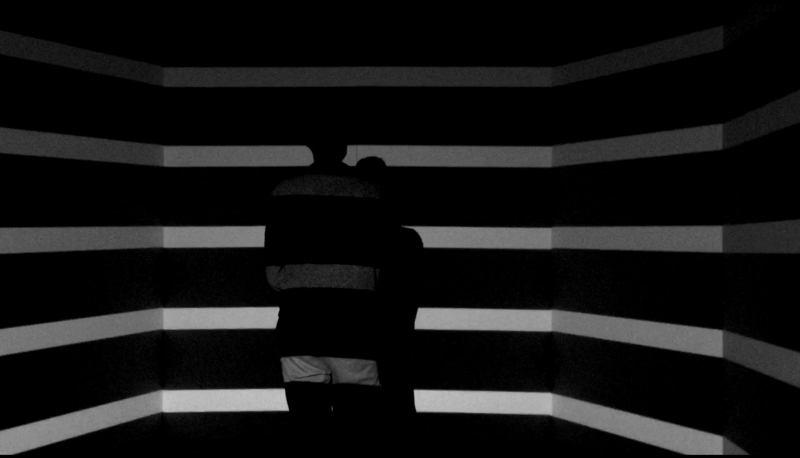 Liftoff is a media installation that challenges our ability to reflect on the vast magnitude of outer space. Movements trigger a change in the video content, while stillness activates a crescendo of audio files sourced from NASA. 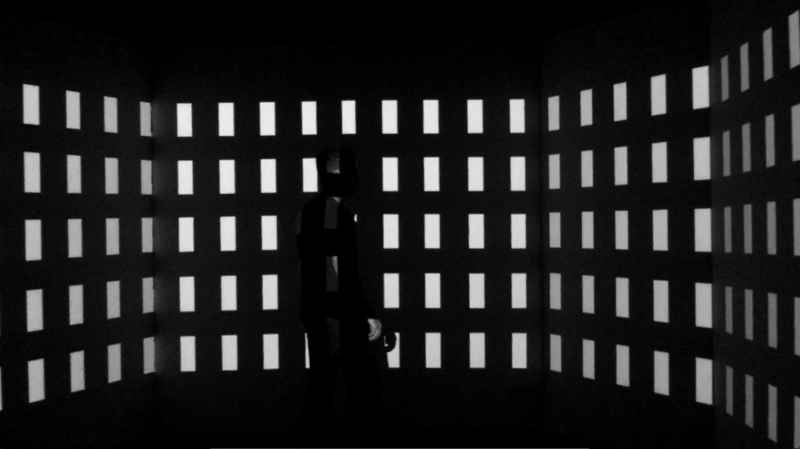 This installation uses a camera to track motion through a patch written in MaxMSP. The projector is mapping the visual onto an 8 panel semicircle wall. When there is no motion detected, the volume increases and the patch randomly selects 4 clips from the media collection to play simultaneously, adding to the imposing chaos of sound. 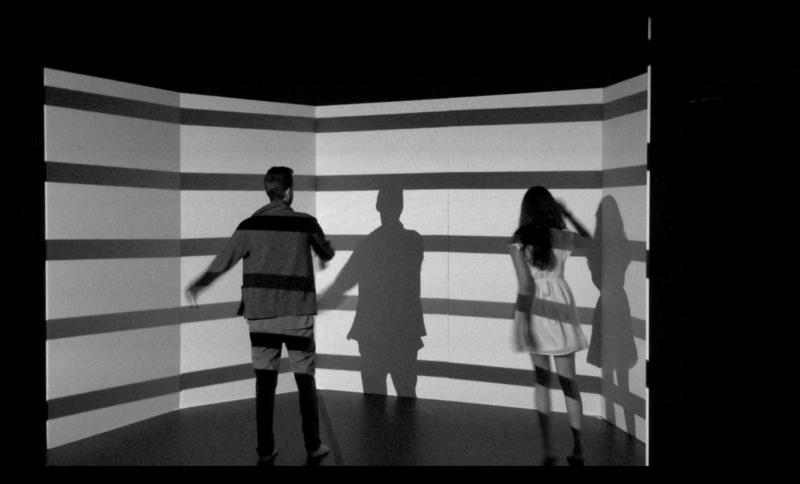 In the second iteration of this project, we used infrared cameras and light to detect motion with better range and sensitivity. This project was installed at Arizona State University in Spring 2015. The audio is from Apollo missions. 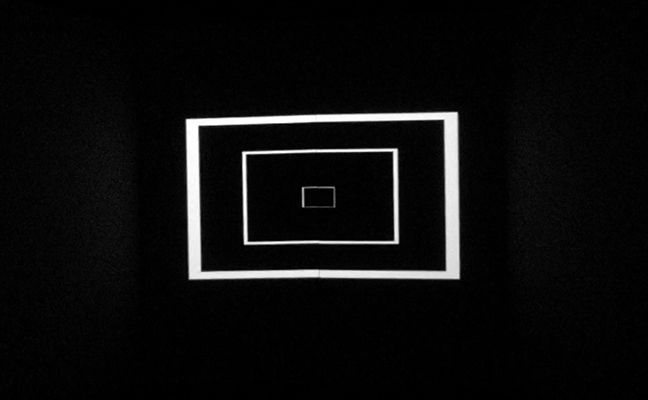 The scale and inspiration for the motion graphics comes from the work of Ryoji Ikeda.